I WENT SEARCHING for a particular CD to include in our Christmas Eve and Christmas Day musical selections and, while doing so, unearthed several others I haven’t heard in a while, even at Christmastime. Here’s what’s playing at our house. What about yours? A Festival of Nine Lessons & Carols. I begin my Christmas Eve here in Pacific Time with a 7:00 a.m. broadcast direct from the Chapel of King’s College, Cambridge, where it’s already mid-afternoon. These days, I have two choices for this, “BBC World Service” on SiriusXM or KUSC, our local classical FM station. Plus, the CD for later on. 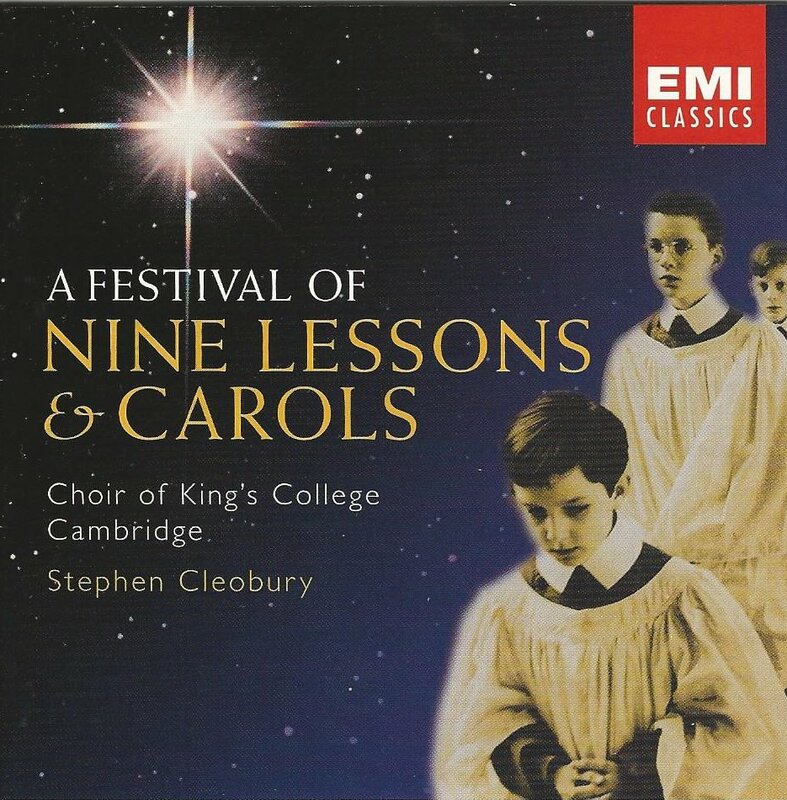 A Festival of Nine Lessons and Carols, Choir of King’s College, Cambridge, Stephen Cleobury, director of music; Benjamin Bayl, organ scholar, EMI Classics, 1999. The Festival at King’s College Chapel commenced in 1918; its BBC broadcasts began in 1928. It has been broadcast live every year since then, with the exception of 1930. This includes during World War II, when the Chapel was without heat or windows, its stained glass removed for preservation. The Festival begins with a sole choirboy singing the first verse of “Once in Royal David’s City.” The rest of the choir joins in for the second verse, the organ for the third. The soloist is selected only 10 seconds before the program goes live to more than 30 million listeners worldwide; this, to prevent unnecessary nerves and avoid jealousy among the 16 choirboys, ages nine through 13. Year after year, it’s one of the most moving moments of my Christmas season. As the title suggests, there are nine bible readings accompanied by carols. Some of these are classics, “God Rest Ye Merry, Gentlemen,” for instance. (And, of course, you recognized the comma placement. “Rest” is in the sense of “keep.”) Others are modern carols, specially composed for the Festival. Here’s a video of the 2014 Festival of Nine Lessons & Carols. Christmas With The Rat Pack, Capitol Records, 2001. Rat Pack members on the CD include Dean Martin and Sammy Davis, Jr., along with ’Ol Blue Eyes Sinatra. Other members of this 1960s’ Rat Pack were Peter Lawford and Joey Bishop. The original Rat Pack, loosely formed in the 1950s, was composed of Humphrey Bogart and friends. Bogie’s wife Lauren Bacall came up with the Rat Pack name upon seeing them return from a night in Las Vegas. Sinatra was an original member; so was Judy Garland. Joculatores Upsalienses: Skogen, Flicken och Flaskan. 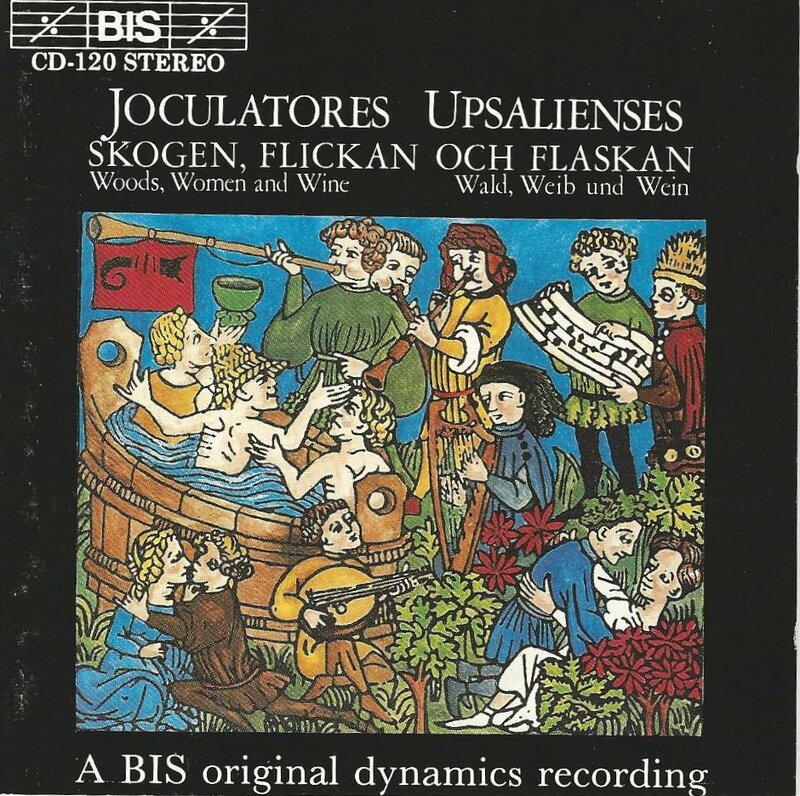 Joculatores Upsalienses (Upsala Jesters) is a group of Swedes specializing in music of the 13th through 16th century. Skogen, Flicken och Flaskan is Swedish for “forest, girl and bottle,” suggesting that this isn’t your average compilation of liturgical Christmas music. It’s happy rowdy folk music, with much of the album celebrating the holiday. Joculatores Upsalienses: Woods Women & Wine, BIS, 1990. My favorite cut is “Gaudete,” Latin for “rejoice.” Its chorus is “Gaudete, Gaudete. Christus est natus/Ex Maria virgine, Gaudete.” Rejoice, rejoice, Christ is born of the Virgin Mary, Rejoice. CDs that gets dragged out every year around our place are “Jingle Bell Jazz” and, from the Chieftans (with many others) “Bells of Dublin”. For that matter, there’s some nice music playing along behind the NORAD Santa Tracker. 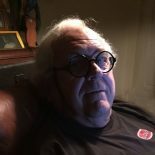 Funny you should mention KUSC which I listen to regularly over here in Denmark – live streamed via my smartphone and played through my stereo system. The most popular Christmas CD at our home is – and has been for 30 years – The Carpenters’ Christmas album. It’s just great, but we listen to lot’s more like Bach’s Christmas Cantatas, Berlioz’ “L’enfance du Christ”, various Christmas Carols etc. Happy New Year and thanks for a wealth of always interesting information. Steeleye Span recorded a lovely “Gaudete”. 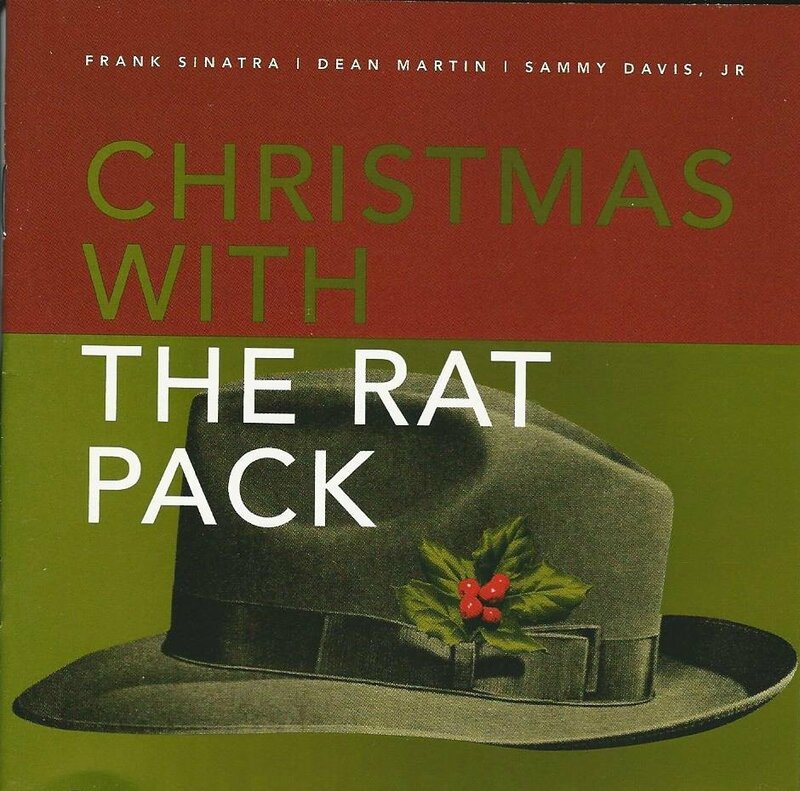 This entry was posted on December 24, 2015 by simanaitissays in And Furthermore... and tagged "Christmas with the Rat Pack", "Festival of Nine Lessons & Carols", "Gaudete", "Joculatores Upsalienses", our Christmas music.